For anyone curious about what it’s like to leave the 34-year career I loved in national news to wind up teaching at UVA, here’s a snapshot of what’s so rewarding about the transition. In April, a second-year student visited the office to appeal his grade on a paper. He’s a strong, promising writer but on this paper his poor word choices made clear he had rushed the assignment the night before. When I advised him to work harder on word precision, he pushed for more of an explanation. His attitude was part curious, part challenging. Now, I may have helped his proofreading reading habits more than I changed his life. But the point is, I traded 7 million people on the other side of a glass lens for one student on the other side of a table, or 80 students in a lecture, or 20 in a seminar. This is better—some version of that student encounter happens roughly once a week. Let me answer directly what most alumni ask. What are they like? UVA students are smarter, more competitive and more ambitious than we were, and we weren’t exactly slackers. (Except for some, and you know who you are.) The student above was fighting for a B+ because he thought that fraction of a grade point might matter in the job market. I see too many students with two majors, a minor and a fourth-year research project, who are booked to the point of having no spare hours in a day. How are they different now? There is more diversity by race and foreign admissions but also, significantly, by income. Another student told me she was dropping my fall news reporting class because of the time constraints of holding down four jobs. I didn’t pry into her circumstances. Instead I lamented losing the perspective of a student like her, who competes on an existential level. Mr. Jefferson did not want a school of privilege, and she is why. How does it feel to be back? The Grounds are still magical. It’s not exactly an academic village anymore, it’s more a collection of villages. But the sense of community is palpable. My assigned parking forces, forces me to walk down the Lawn to my office. I just can’t find that place inside me that misses D.C.
Why teach college? 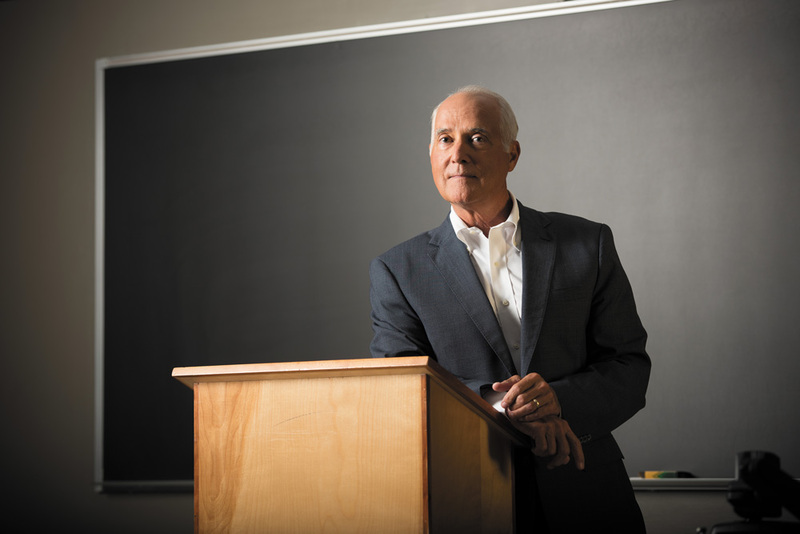 Just like national reporting, teaching at UVA is more mission than job. The media studies department is rapidly expanding, and my role is to teach actual news reporting to the growing number of students interested in journalism. The plan is to teach new technology, but old-school news—news that’s solidly researched, fully verified, well-written and fair to both sources and the public. So far, the journalism has been excellent, and our first cohort has been successful. My large lecture class, called The News Media, enjoyed a sharp spike in relevance after President Trump’s election. Today the role of the media and the charge of fake news are at the top of the national conversation. Truthfully, I feel like I should take a course in fake news, but out of nowhere, now I need to prep several lectures on it. Challenge gratefully accepted. Still, in leaving Big Media to teach “the media,” there’s a larger challenge. Because so many Americans, including our students, get news only through social media or on a mobile device, far too many do not understand the line between trustworthy, verified news and news that originates in a basement overseas. It’s imperative that academics tackle this gap in understanding. Perhaps my greatest sense of privilege in returning to UVA is the chance to contribute to media understanding at exactly the right time. Wyatt Andrews, formerly a longtime CBS News national correspondent, is Professor of Practice in the Media Studies department.